As a project manager responsible for overall planning, management, coordination and administration of Morris & Essex line stations rehabilitation, accessibility improvements (ADA compliance), bridge and viaduct repair and waterproofing project. The project scope includes planning, design and construction of new structures, extensive stations rehabilitation, bridge and viaduct repairs & waterproofing. 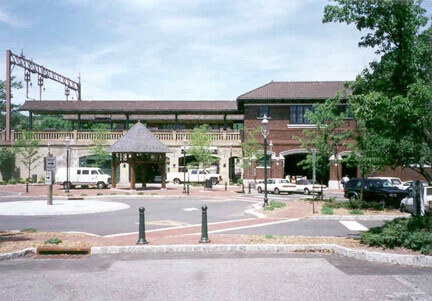 These stations are listed on the State and National Register of Historic places. The total cost of the project was approximately $85M. Responsible for establishing and monitoring project goals and objectives from the planning and design stages through construction and project close-out, prepared scope of work, preliminary budgets, schedules and cost estimates. Selected and supervise the performance of consultants, construction managers, resident engineers, contractors and NJT's in-house forces through plan and specification review and site visits. Direct design engineers, construction management teams, contractors, and vendors to implement policies and procedures to assure conformance to NJ Transit standards. Supervise, review and approves design submittals, shop drawings and other contract documents. Also supervised and coordinates code review, permit submittals, environmental compliance and regulatory reviews. Worked closely in coordinating and working with the various Federal, State and Local agencies and departments (FTA, NJDCA, NJDEP, SHPO, etc.) on issues related to the project.